I mentioned it a while ago that oil filters are readily available from places like NAPA. The old part number from NAPA was something like PS7013. It's a chrome filter so it looks quite presentable. The Wix cross reference number (Wix makes the filter for NAPA) is 557013. It set me back a crushing $10.52 and of course, free delivery! I'm having a time getting my old filter off, the chrome is slippery. I broke my HF strap wrench but that didn't surprise me. I used that strap wrench a bit over the years. These days I way prefer a filter socket. The socket also fits a ton of German and other cars so there's a chance you could use it there too! At $9.99 it was also a deal. There are different sockets out there, some are thicker so be aware there may be clearance issues with the swingers. Right now with the engine out the cradle and swingarm are at unusual angles. I ordered these parts late last night and they showed up today. I thought it was a mistake! A happy one! 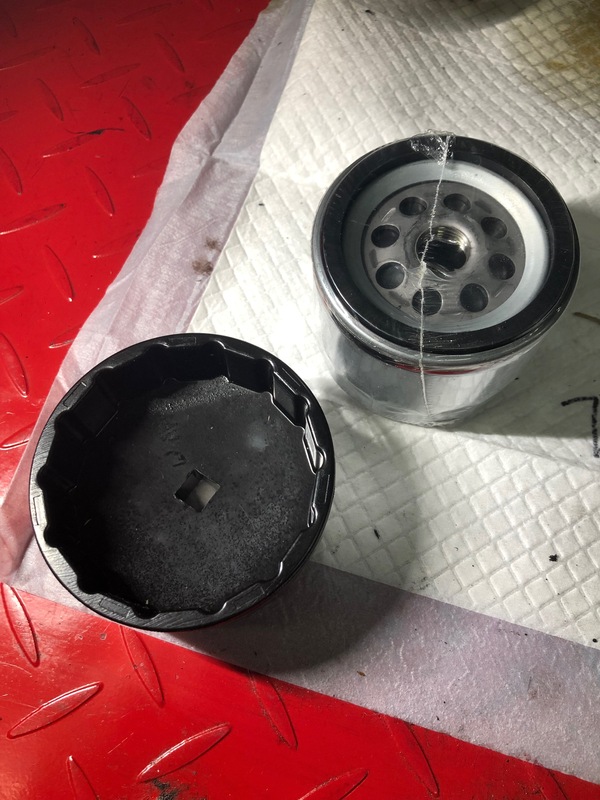 I dropped the oil filter mount housing by 1/4" by slotting the holes in the cradle on my Roadster to allow more room between the swingarm crossmember and the filter. Then you can get a good grip with a filter strap as well. eskasteve, KiwiNeill, gortnipper and 1 other person like this. Andover Norton sell filters that fit Norton’s quite well too! But seriously, what’s the advantage to the Ducati after market filter over the ‘correct’ one ? It's handy that the Commando uses the same size oil filter as my 748 so I can use the same cup tool. A genuine Ducati filter is a little shorter in length than the Andover Norton one. I've also got some HF 153 filters but the number of facets is different so a different cup tool is required for removal. There was little room to get a socket wrench on the end of the cup with my Commando at the time when I fitted it so I used a square drive peg in the cup and a spanner. Some cups have a hex drive and square drive hole (like Swooshdave's above photo) which is useful. If space is an issue, is it resolved using the shorter Ducati filter? Does anyone have a UK source for a slimmer one, with hexagon ? I’ve previously used a Magnifine filter but intend to use the standard one in future, hence the questions ! Having had another look the OE standard filter should be fine with a socket wrench. My wheel was further forward when I fitted the filter. Nigel if you want a cup filter socket I have two, so pm your address, I owe you a favour. I edited my previous post to avoid a bum steer btw. Me to.... quite a long time ago..high or low bypass ???? Two things. I can order one from Amazon. And it's chrome. As in CHROME. Well you can order a Norton one on line too. But you got me on the shiny ! I invested in the CNW oil filter adapter. It allows the use of a wider range of filters (in the US, anyway) than the original Norton style. Glad to see he still has these, I couldn't find them awhile back. I put these on a couple bikes and now need another, same filters as the Buell. Thanks, Chuck. 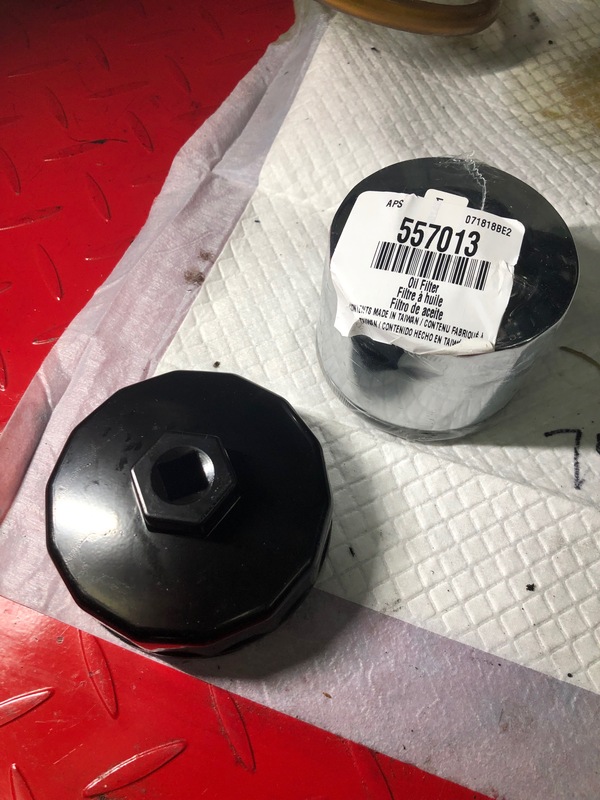 "Norton oil filter adapter:This is NOT a helicoil. It is a threaded steel ring.With this piece you can now use a standard auto filter on your Norton oil filter assy. Just thread it on. $12.95"
I recall Jim being one of, if not the first to make and sell this product starting in the early 90's. I wish people would stop selling the adapters. With the availability of the Ducati filters there's no need whatsoever for them. Sure back when the only filter was for a f'n Simca it was one thing but now that you can go into just about any shop and buy a filter it's a waste to get an adapter. And it just makes it worse for the next owner who has to deal with the adapter. 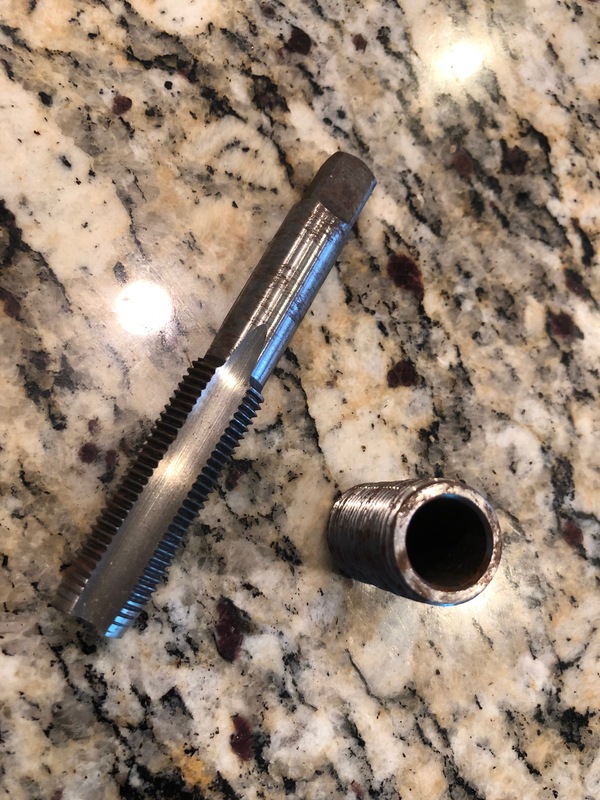 I still have a threaded insert and a metric tap for when I was going to make the adapter myself many, many, many years ago. I need to throw that away. LOL send it to me! 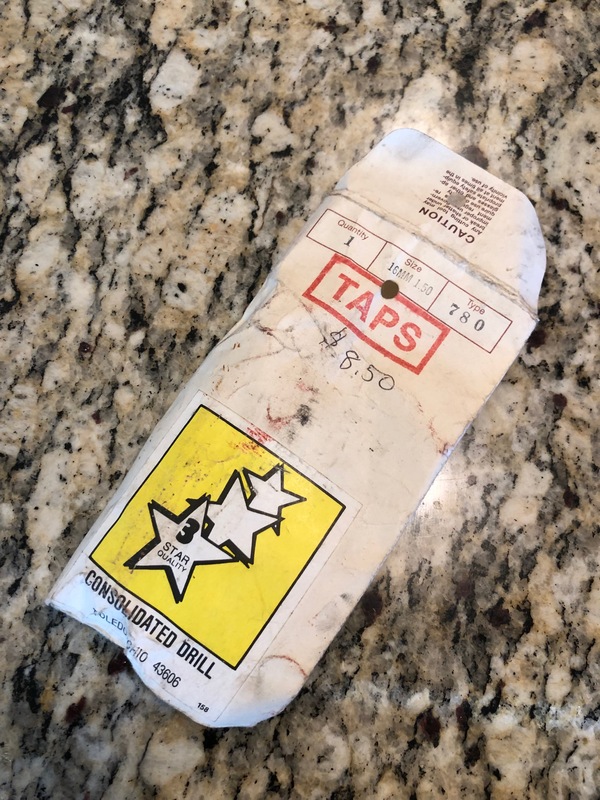 Don't know what you have but there is no need for a tap. Tap still looks good but that threaded thing will get tossed. Yea your right that must have been a long time ago, the new ones just thread onto the current threaded part. this allows me to use the same filter on my Buell and my truck as the Nortons, no brainer. This was a DIY option. And yes, a disturbingly long time ago.